1. On Saturday night, Harvard’s men’s basketball team defeated the Michigan Wolverines before a sell-out crowd at Lavietes Pavillion in Cambridge, 62-51. That’s right, an Ivy League team that has NEVER won the Ivy League Title (a drought that’s comparable to the Red Sox’s 86-year ordeal) beat the one-time Big Ten powerhouse, a team full of Michigan’s best high school players, almost ALL of whom are on scholarship (Ivy League teams cannot give scholarships). I’m not a Harvard graduate, but I was in attendance and I was rooting hard for the underdogs. At the end of the game, hundreds of Harvard students stormed the court. Has that EVER happened at a Harvard basketball game? And has there EVER been a bigger win in Harvard men’s basketball history? I think the only win that comes close was a victory over Boston College, at the Heights, several years ago. Sports Center loves great stories, and this victory has a doozy…. Harvard’s new coach, former Duke guard Tommy Amaker, was fired as Michigan’s coach last year. 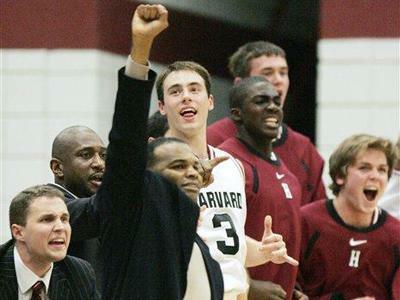 He could have taken a major division 1 coaching post this season but opted for Harvard and the challenge of winning their first-ever Ivy title. Amaker is too classy to call this victory “revenge,” but it is what it is — a coach who was fired by a big-time program went to a coaching graveyard against the advice of his old mentor (Coach K) and then defeated the school that fired him. Awesome. 2. 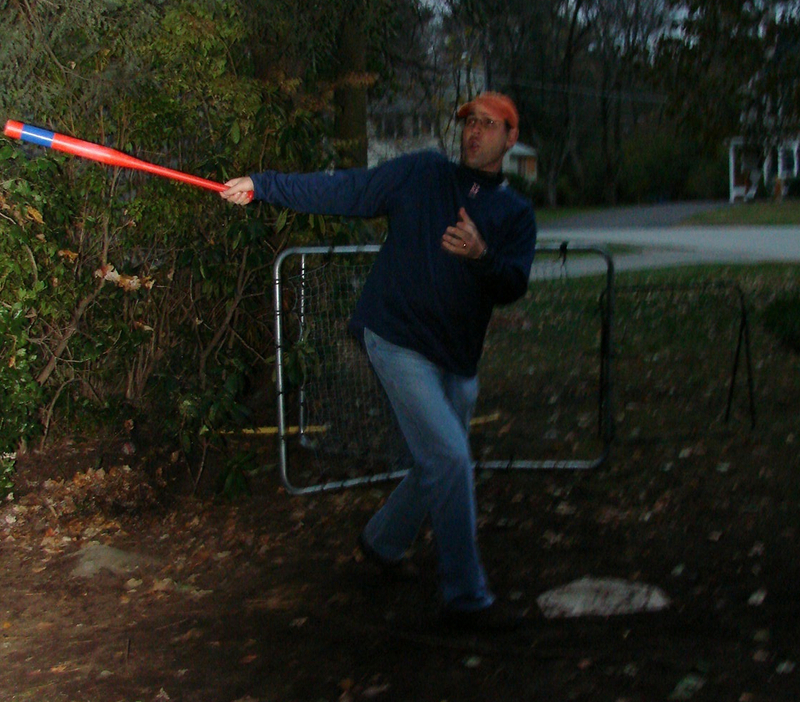 Last weekend, I played the 355th game of wiffle ball vs. my 8 year-old son and his best friend in our backyard, and the way the game ended will be talked about for years and years at our family’s kitchen table. In over three years, I have never beaten these two kids. (Yes, to handicap myself I do bat lefty and I let them hum the ball from a pitcher’s mound that’s about 25 feet from home, but these guys don’t win because I’m not trying, they win because they earn it.) Last weekend, for about two and one-half seconds, I thought victory was mine…. and then, it was snatched away. B ases were loaded, two outs, I was down by two runs, bottom of the last inning, 2-2 count. 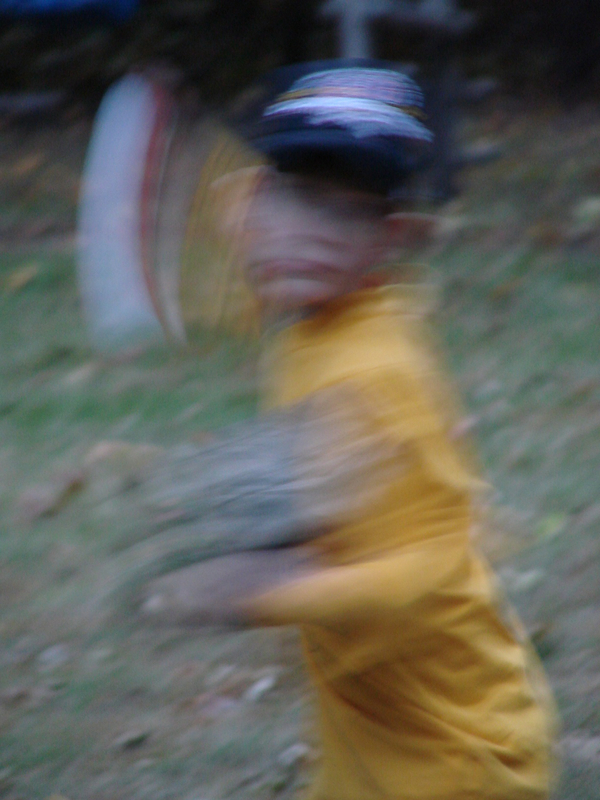 My son hucked a fast curveball over the plate and I pulled it, driving it deep to right field… way back, way back…. could this be Daddy’s first victory ever at Fenway West?… then his friend soared over the plastic green fence, glove arm outstretched, caught the ball, and slammed to the ground. GAME OVER. My son and his friend screamed, ran to each other, and chest-butted. I just stood there, stunned at what I had just seen. I knew at that moment that I would write about the game on this blog, and I knew exactly what I would say – that sometimes, the most elegant, miraculous, unbelievable sports moments happen right in our own backyards, when no fans are watching and nothing is at stake except individual pride. That catch was, truly, every bit as good as the best Coco Crisp catches, and the fact that it saved the game and a three-year unbeaten streak made it an instant classic. No film crews were there to record the incredible play – it will never make it onto The Best Damn Sports Show’s 50 Greatest Catches of All-Time – but the three of us who were there may never forget it. 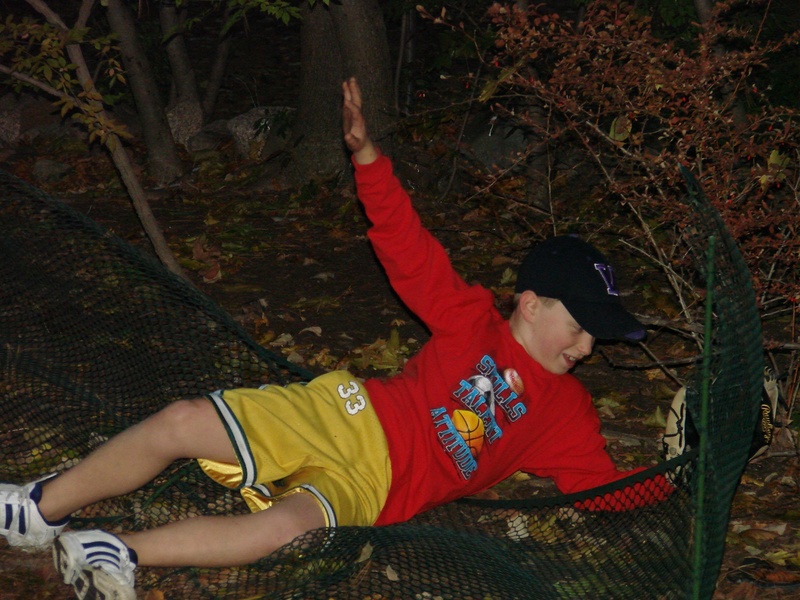 Indeed, our heroic, 8 year-old right fielder may never make a catch as great as that one the rest of his life. Don’t you just love sports?? This entry was posted in Baseball, Children, Leadership, Red Sox Nation, Sports and tagged daddy-hits-it-deep-11-07.jpg. Bookmark the permalink.